Offering embryo donors and embryo recipients the opportunity to find each other and allowing them the freedom to work out the details of their embryo donation on their own terms. We have since 2004 helped hundreds of families to privately match. PLEASE VISIT US AT MIRACLESWAITING.ORG INSTEAD. The domain/website MiraclesWaiting.org is the one currently being used by us. If you are a member of Miracles Waiting and are trying to login into this website ".com", your login information will not work here until this website is finished and working propelly. PLEASE VISIT US AT MIRACLESWAITING.ORG. Miracles Waiting is dedicated to providing embryo donors and embryo recipients the opportunity to find each other, with the ability and freedom to work out the details of their embryo donation on their own terms. Miracles Waiting is not affiliated with any IVF clinic, embryo donation agency, adoption agency, or religious organization. Embryo donation can provide the opportunity to assist others who want to conceive by donating available embryos and giving someone else the chance to start or add to their own family. How do embryo donor families and embryo recipient families find each other? Before Miracles Waiting was formed in 2004, embryo donors and embryo recipients had to rely on donation through their IVF clinic or an agency. Or, had to find a match themselves by searching the Internet or through word of mouth. Since the start of Miracles Waiting, you can place your ad/profile in the embryo donor or embryo recipient listings, then search through the listings. When you locate someone that you think might be a fit, you simply e-mail them and wait for their response. Once contact has been made, the embryo donors and embryo recipients together will determine if a match has been made. Miracles Waiting is not responsible for matching donors and recipients; rather, we provide a repository of profiles, creating a mechanism for contact between donors and recipients. We have made hundreds of matches through the Miracles Waiting Embryo Donation Program! Is your family complete? Are you looking into donating your remaining embryos? 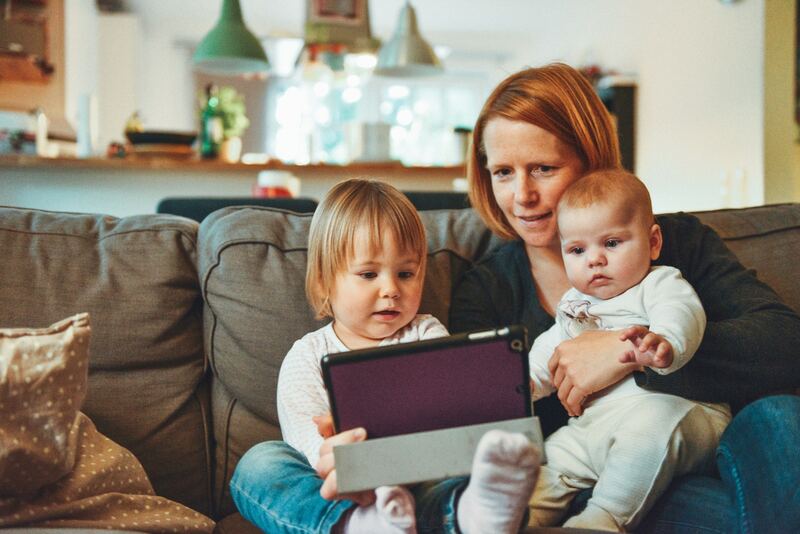 Connect with recipient families through our website from the comfort and privacy of your own home, with no geographical barriers. We have recipient families from all over the USA, looking for donated embryos. And, our service is Free for donor families! Learn about families wanting to provide a loving home. Form a relationship. Request background checks. Select the family that will provide the best home. Looking to start or add to your family with the help of donated embryos? Connect with donor families through our website from the comfort and privacy of your own home, with no geographical barriers. We have donor families from all over the USA. Our one-time $150 fee provides the following: access to the website for life, the ability to contact donors with profiles available, and an initial ad/profile, which is good for a year. After that first year or after the first ad/profile expires, we charge recipients $35 to add a new profile to the website, and that profile will be good for another year. Talk about your journey and what led you to adoption. Communicate to learn about each other. Discuss the process and what you each want to happen. We don’t charge families donating embryos. It is FREE for embryo donors to create an account, post an AD/PROFILE at Miracles Waiting, and contact families looking for embryos. To get start, CLICK HERE! We charge embryo recipient families an one-time $150 fee. For the $150 fee, a member has access to the site for life, which includes the following: the ability to contact donors with profiles available for life, and an initial ad/profile which is good for a year. After that first year or the first ad/profile expires, we charge recipients $35 to add a new profile, and that profile will be good for another year. Embryo Donor Family: Connect with recipient families through our website from the comfort of your own home, with no geographical barriers. We have recipient families from all over the USA, looking for donated embryos. Embryo Recipient Family: Connect with donor families through our website from the comfort of your own home, with no geographical barriers. We have donor families from all over the USA. To have full access to our embryo donor and recipient Ads/Profiles database. Q. What is Embryo Donation? How does it differ from Embryo Adoption? A. Embryo Donation and Embryo Adoption are similar concepts, and sometimes the terms are used interchangeably. Both refer to the giving and receiving of fertilized eggs (embryos) that are created during an In Vitro Fertilization (IVF) cycle. Q. What are some common fears or apprehensions about using a donor, whether via sperm, egg, or embryo donation? A. Fears concerning parenthood usually focus on unknowns and are also experienced by people who conceive naturally. They involve such questions as: How will I relate to my child? Will she love me? Will my parents accept our child? Concerns unique to gamete donation are Will my children see me as their “real” mother/father/parents? Will I be able to deal with criticism from family or friends? How will I handle “stupid comments” from people in general? How and when will I disclose the information about his/her conception with our child? Are we protected from the donor’s claiming our child in the future? What access to information in the future will be available? Q. What does the law say about embryo donation? A. [Federal] law states absolutely nothing at this time about embryo donation, yet many states are now considering how to handle these unique family situations. - Read the full answer here. Need more information? - Ready to start?